We have used Hydrocarbon as the source of fuel for our power generation and transportation since industrial revolution. It has resulted in increasing level of man-made Carbon into the atmosphere; and according to the scientists, the level of carbon has reached an unsustainable level and any further emission into the atmosphere will bring catastrophic consequences by way of climate change. We have already witnessed many natural disasters in a short of span of time. Though there is no direct link established between carbon level in the atmosphere and the global warming, there is certainly enough evidence towards increase in the frequency of natural disasters and increase in the global and ocean temeperatures.We have also seen that Hydrogen is a potential candidate as a source of future energy that can effectively substitute hydrocarbons such as Naphtha or Gasoline. However, hydrogen generation from water using electrolysis is energy intensive and the source of such energy can come only from a renewable source such as solar and wind. Another issue with electrolysis of water for Hydrogen generation is the quality of water used. The quality of water used for electrolysis is high, meeting ASTM Type I Deionized Water preferred, < 0.1 micro Siemen/cm (> 10 megOhm-cm). A unique desalination technology has been developed by an Australian company to generate onsite Hydrogen directly from seawater. In conventional seawater desalination technology using reverse osmosis process only 30-40% of fresh water is recovered as potable water with TDS less than 500 ppm as per WHO standard. The balance highly saline concentrate with TDS above 65,000 ppm is discharged back into the sea which is detrimental to the ocean’s marine life. 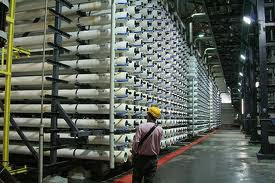 More and more sweater desalination plants are set up all over the world to mitigate drinking water shortage. This conventional desalination is not only highly inefficient but also causes enormous damage to the marine environment. The technology developed by the above company will be able to recover almost 75% of fresh water from seawater and also able to convert the concentrate into Caustic soda lye with Hydrogen and Chlorine as by-products by electrolysis. The discharge into the sea is drastically reduced to less than 20% with no toxic chemicals. This technology has a potential to revolutionize the salt and caustic soda industries in the future. Caustic soda is a key raw material for a number of chemical industries including PVC.Conventionally, Caustic soda plants all over the world depends on solar salt for their production of Caustic soda.Hydrogne and Chlorine are by-products.Chlrine is used for the production of PVC (poly vinyl chloride) and Hydrogen is used as a fuel. In the newly developed technology, the seawater is not only purified from other contaminants such as Calcium, Magnesium and Sulfate ions present in the seawater but also concentrate the seawater almost to a saturation point so that it can be readily used to generate Hydrogen onsite. The process is very efficient and commercially attractive because it can recover four valuable products namely, drinking water, Caustic soda lye, Chlorine and Hydrogen. The generated Hydrogen can be used directly in a Fuel cell to generate power to run the electrolysis. This process is very ideal for Caustic soda plants that are currently located on seashore. This process can solve drinking water problems around the world because potable water becomes an industrial product. The concentrated seawater can also be converted in a salt by crystallization for food and pharmaceutical applications. There is a growing gap between supply and demand of salt production and most of the chemical industries are depending upon the salt from solar pans. Another potential advantage with this technology is to use wind power to desalinate the water. Both wind power and Hydrogen will form a clean energy mix. 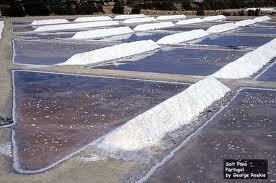 It is a win situation for both water industry and the environment as well as for the salt and chemical industries. In conventional salt production, thousands of hectares of land are used to produce few hundred tons of low quality salt with a year long production schedule. There is a mis- match between the demand for salt by large Caustic soda plants and supply from primitive methods of solar production by solar evaporation contaminating cultivable lands. The above case is an example of how clean energy technologies can change water, salt and chemical industries and also generate clean power economically, competing with centralized power plants fuelled with hydrocarbons. Innovative technologies can solve problems of water shortage, greenhouse gases, global warming, and environmental pollution not only economically but also environmental friendly manner. 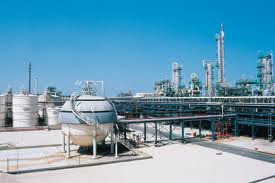 Industries involved in seawater desalination, salt production, chemical industries such as Caustic soda, Soda ash and PVC interested to learn more on this new technology can write directly to this blog address for further information.